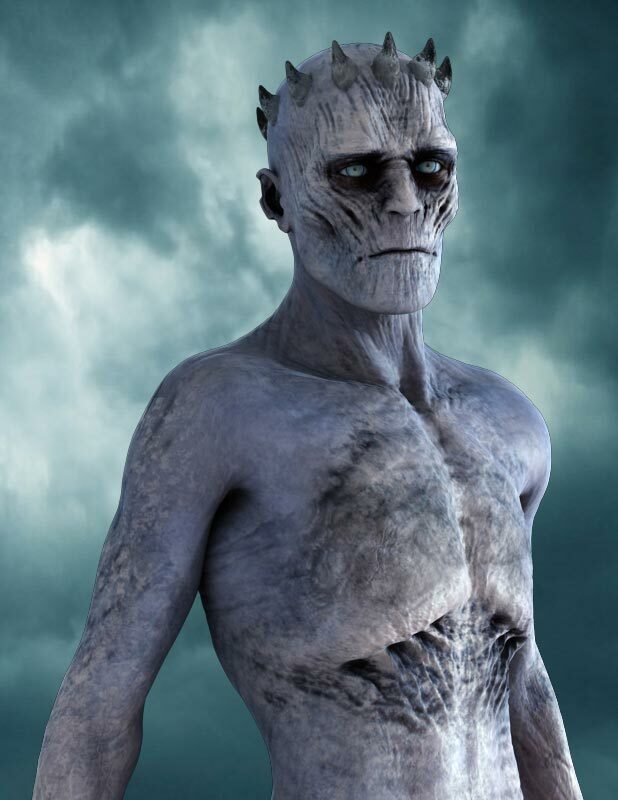 This article and all of the images within were created by the very talented Alex Ledante. Copyright © Alex Ledante. Check out his gallery here. This tutorial is the first in a series designed to highlight and showcase the powerful abilities of the the Nik Collection, which is a suite of 7 plug-ins that provide an impressive array of photo editing capabilities: from color correction, retouching and creative effects to image sharpening and a wide range of special effects. While they used to retail for $500 (and worth every penny) the good folks at Google are making it available to everyone free of charge because that’s their way. Grab a copy here and let’s get started! Basic Daz Studio 3Delight render without any additional lights. I’ve taken a basic 3DL render without any additional lights, but obviously you can do this with any image (even a photograph) that has the proper value range into the SEP2 suite and run Antique Plate II (preset 36) with the default settings. 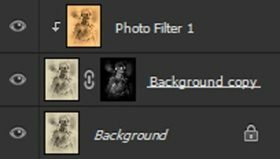 Since you want it to look like a sketch, you mostly want a high contrast image without much midtones (those values will be lost). 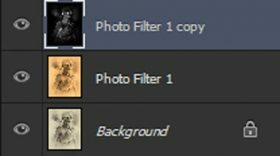 Therefore, if your results aren’t looking like the example, just undo the SEP2 filter and adjust the levels until you get a good balance of lights and darks (in Photoshop). Then restore the filter with Ctrl+F. Rinse, wash, repeat until you get the desired results. Alternatively, you may also adjust contrast and brightness from within the SEP2 interface. Once you are happy with the results, Right click > Flatten Image. Image after applying Antique Plate II (preset 36) from the SEP2 suite in Nik Collection tools. Once you have a solid base, the edges are already fading out just like an unfinished sketch. Notice how the clouds have become abstracted, almost like a doodle and they’re getting lost in all the background noise which is starting to look like paper grain. You could almost stop here, but why not push it a bit further? Warming layer filter settings in Photoshop. 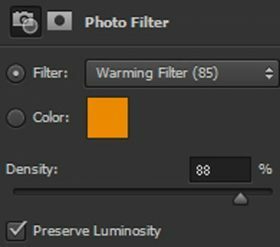 Create an adjustment layer/photo filter (in Photoshop) and select the Warming Filter(85). Ensure that Preserve Luminosity is ticked, then run the density up to around 88% or so. Image result after applying the warming adjustment layer described above. This is way too orange, but have no fear, we’re going to fix that now. Photoshop layer stack after these operations. Copy the SEP2 (background layer) via Ctrl+J. 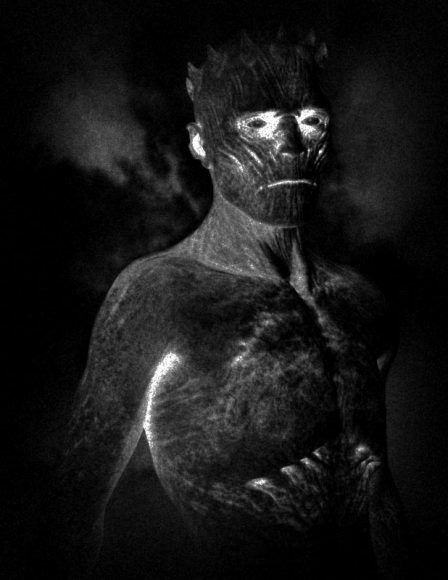 Our image mask after desaturating and inverting our background (original) image. Duplicate the Silver Efex Pro 2 (background layer) twice. Apply a layer mask to the first one (Layer > Layer Mask > Reveal All). Go to the channels tab and then paste the layer mask in the alpha channel with Ctrl+V. Note that visibility of the layer must be on before pasting, then turn it off after. Set the layer to Multiply to punch up the shadows. Photoshop layer stack after operations to punch up our shadows and add in more color. 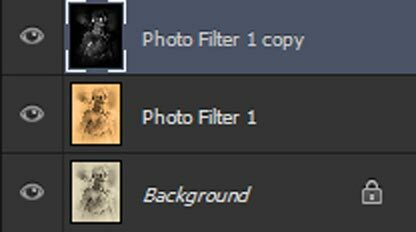 Merge the photo filter onto the other background layer copy. (Right click > Merge Down). Set the layer to Linear Light. Then Right click > Create Clipping Mask. See how rich those dark values just got? 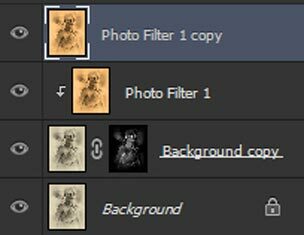 Our Photoshop layer tab after performing the operations described here. Still looks a little drab, so let’s duplicate the photo filter layer and reset the mode to Normal, but drop the opacity down to 40%. Our 3D-art image after adding in a warming filter and punching up the shadows in Photoshop. 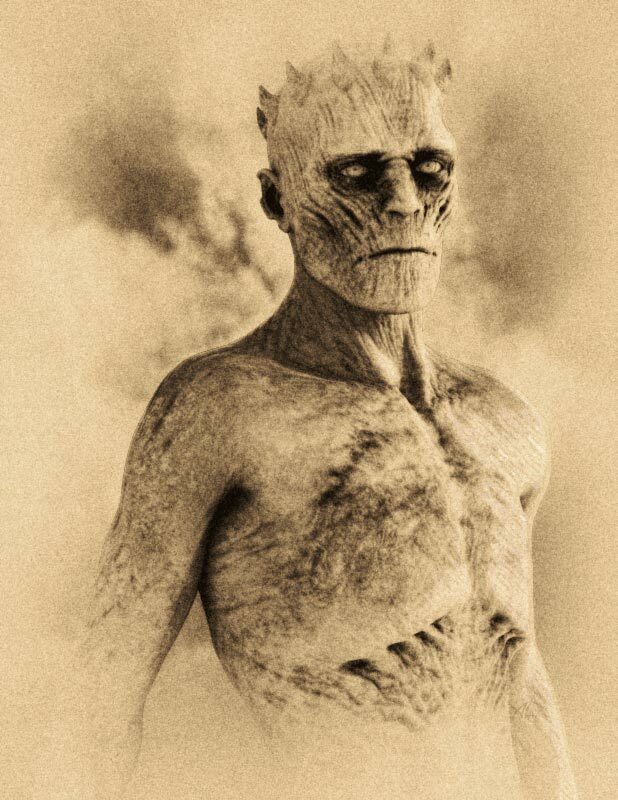 To make it look more like a sketch, let’s introduce some hatching. Save what you have so far and then flatten everything (Right click > Flatten Image). Launch SEP2 and use Wet Rocks (preset 23) to get this grainy looking result. Image result after applying the Wet Rocks (preset 23) from SEP2, in the Nik Collection tool. Photoshop layer stack after adding Angled Strokes operations. Ctrl+L and enter 15/.75/255 to adjust the value range. Set the layer to Overlay at 40% opacity. Do Filter > Brush Strokes > Angled Strokes. I used 50/15/3 but if you’re doing your own image, just try for something like the image below. Adjust Filter > Gallery > Angled Strokes until we get something that looks like this. Settings will be different depending on your image. Final result of transforming our 3D-art render into a charcoal sketch using Photoshop and the Nik Collection tools. While the Nik Collection was developed for photographers, any Photoshop user can tell you that Photoshop isn’t just for photographs and neither is the Nik Collection In fact, since 3D-art renders are really just simulated photographs, we will enjoy a much higher degree of overlap with the intended purpose than someone using the Nik Collection on colored line-art, for example. I’ve began this series with a technique of turning a render into a charcoal sketch to underscore the concept that the Nik Collection has a much wider gamut of applications than mere photo editing, so you need not restrict yourself to using these filters only in the ways in which they were intended. There are applications for the Nik Collection that the developers never even dreamed of! In future installments, we will be exploring many different uses for the Nik Collection; some will cover the features much like a manual, while others will take it to a completely different level. Please look forward to it!